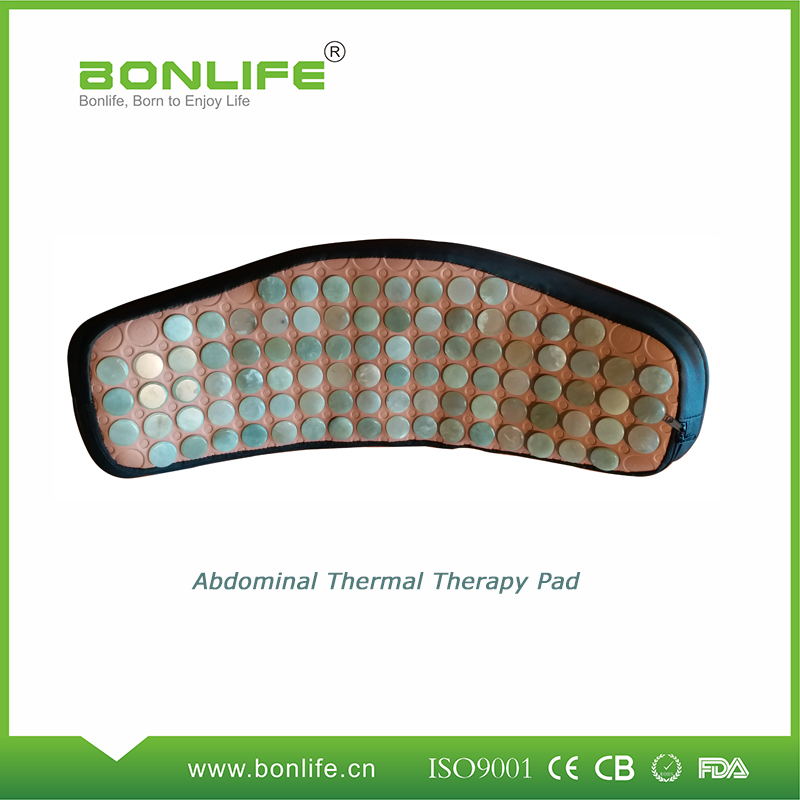 Thermal Therapy make circle tourmaline or jade surround waist and abdomen for prominent effects. 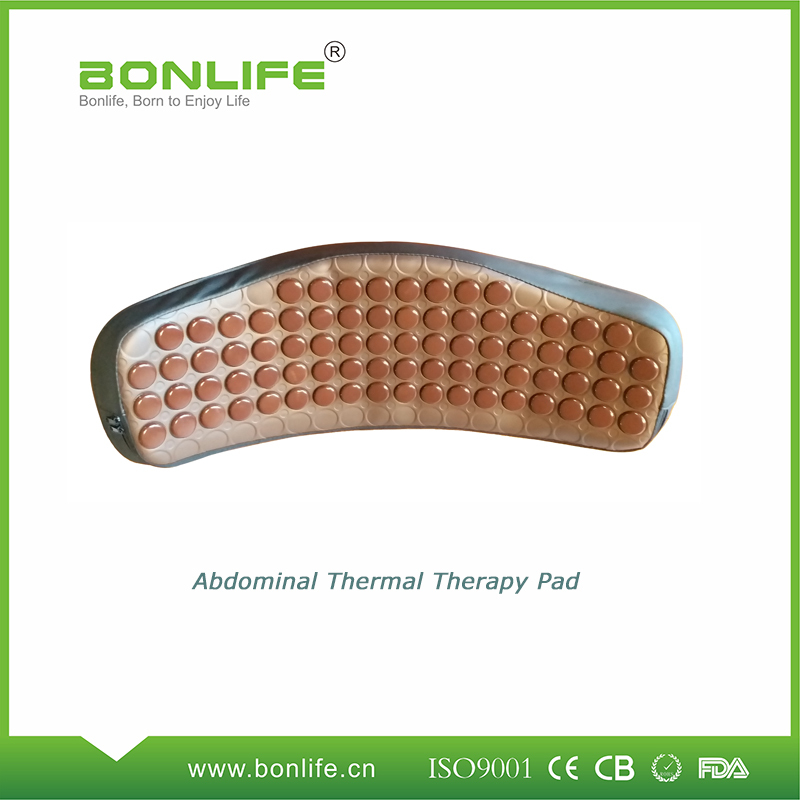 It is multi functional thermal therapy which protects internal organs and various parts of our body. 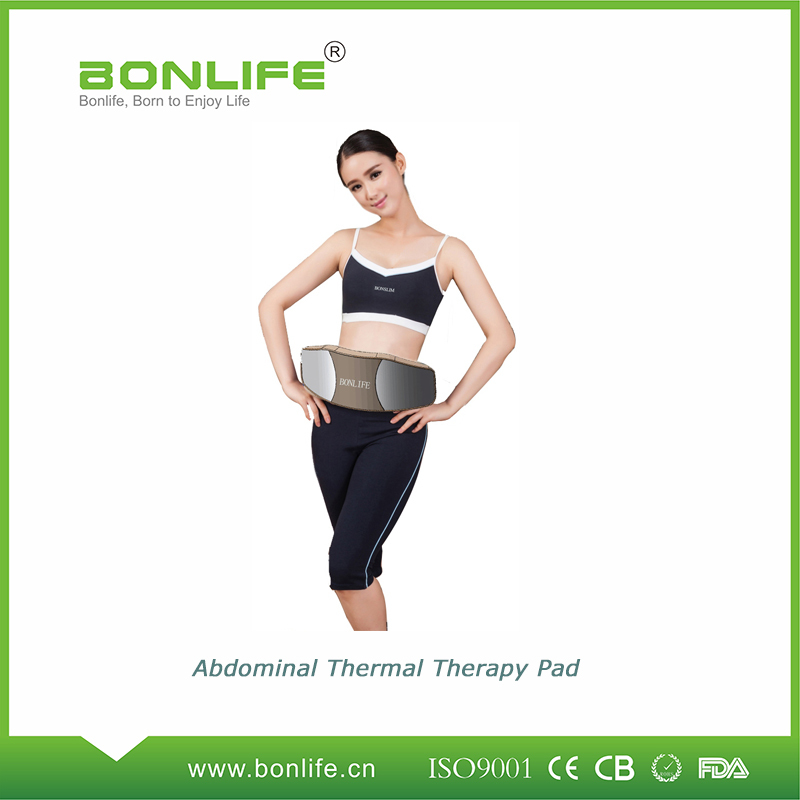 The dome-shaped abdominal heating pad suitable for any body be used individually, also can be used in combination with BONLFIE massage bed. It conforms to the diverse are including the abdomen, waist, thighs, knees and chest for improved. Simply wrap around your waist anytime anywhere. Far Infrared light is part of the sun`s invisible spectrum. We can feel this type of light, which we perceive as heat. sun produces most of its energy output in the infrared segment of the spectrum. Our atmosphere has a [window" in which it filters infrared rays ranging between 4 to 14 microns to safely reach the earth`s surface. FIR therapy has been used for over thirty years to treat patients with various health problems and have exhibited positive results. These conditions include but are not limited to: TMJ, arthritis, high blood pressure, benign prostrate hypertrophy, high cholesterol, pain, hemorrhoids, cystitis, gastritis, asthma and bronchitis, sore throat, muscle tension, muscle spasms, adhesions on cold hands and feet, poor skin tone, acne, body odor, eczema and psoriasis. Studies have shown that the patients have displayed minimal to almost no side effects and produced various positive results. It does so by reducing the sensitivity of the neural pathways of the nervous system, triggering the body to release endorphins. nervous system, as well as increasing kidney filtration and blood detoxification. maximizing the body's ability to strengthen its natural defenses and healing abilities. Looking for ideal Jade Tourmaline Heating Massage Belt Manufacturer & supplier ? We have a wide selection at great prices to help you get creative. All the Portable Heating Thin Belt are quality guaranteed. We are China Origin Factory of Fat Burning Massage Belt. If you have any question, please feel free to contact us.